So you’ve locked yourself out of your house. Now what? Do you live with roommates? Can they come home and let you in? Sure, it may be an inconvenience to ask your housemates to come let you in, but not nearly as inconvenient as being stranded outside your house, especially in the cold. If you rent your place, try reaching out to your landlord. They will usually have a copy of your house key and, depending on their location, may be close enough to swing by and let you in. If you live in an apartment complex, stop by the manager’s office and ask to be let into your place. Just make sure you can provide proof of who you are and the fact that you do indeed live in the complex. Of course you would never leave your windows unlocked, but on the off chance you did, an unlocked window is the perfect entry point. Simply remove the screen, lift up the window, and shimmy through. Be careful as you enter through the window, as you’re likely to be off balance. Also be aware of what furniture or items may be lying below the window, such as end tables, TV’s, or other household items. Insert the card between the frame and the door at the point where the latch is located. Hold the card perpendicular to the door and start pushing and wiggling the card. While you push, start bending the card away from the doorknob in an attempt to slide the latch back and away from the door jam. Try pushing your weight against the door while you bend the card. If you are successful in unlocking the door, call a locksmith. You have now proved how easy your home is to break into and will want to consider upgrading your locks. You should feel resistance- keep pushing the metal tool as far into the hole as possible with one hand, while pulling and twisting the door knob with your other hand. Keep up this dance of applying pressure with your make-shift tool and simultaneously pulling and twisting the door knob until you’ve removed the door knob. Now all you have to do is pry off the decorative plate to reveal the lockset. Using a screwdriver (or your bobby pin) pull back on the locking mechanism and the door should unlock. Once you’ve gained entrance to your home take steps to prepare for the next time you inevitably find yourself on the wrong side of a locked door. 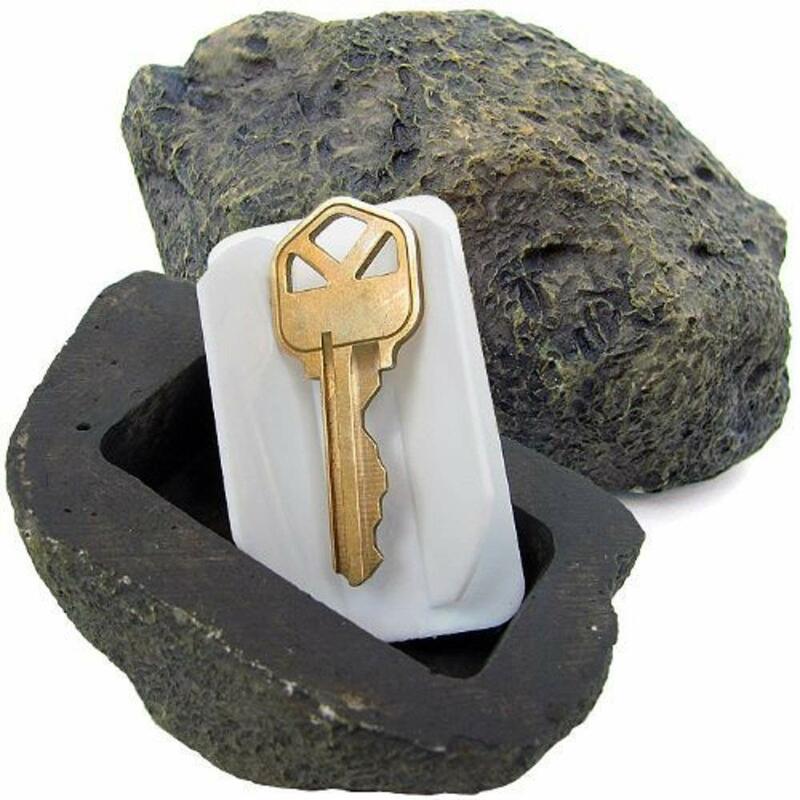 If you aren’t close with your neighbors, consider buying and stashing a “hide-a-key”. Look for a realistically designed one made to blend in with natural surroundings, like a rock or a log . But be aware that thieves know of this time-honored hiding spot and choose a location that is unnoticeable and out of the way. 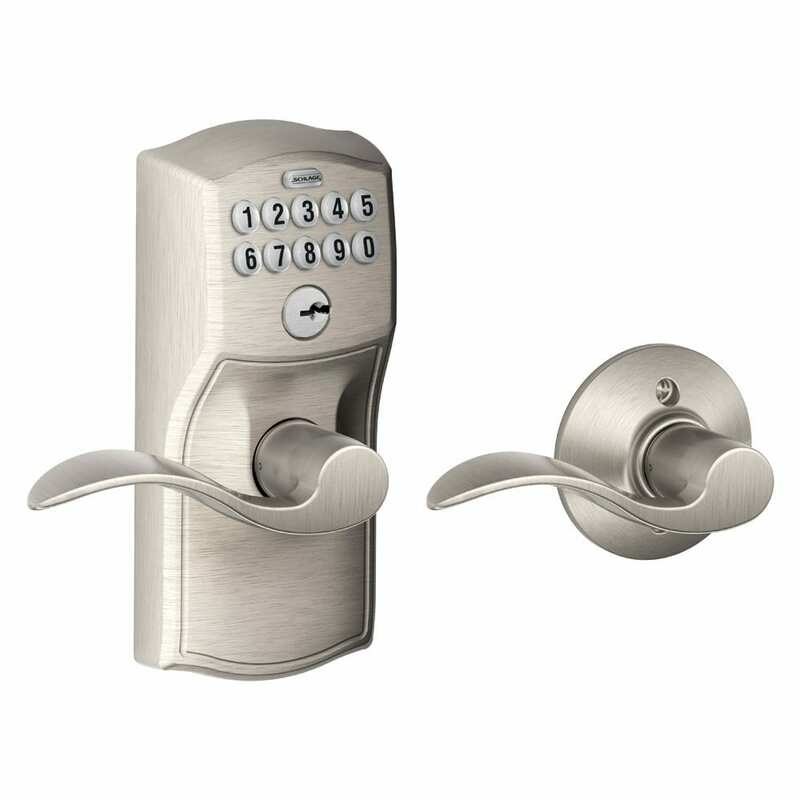 Install a keyless lock to eliminate the need for a physical key. SafeWise has compiled a list of the best electronic door lock options that you can check out here. Many home security providers also offer automated locks that can be unlocked remotely with a smartphone app. Getting locked out of the house is never fun. But things happen. The important thing to remember is that you have options. Stay calm, assess the situation, follow the above tips, and you’ll be back inside in no time.